E3.schematic is core to all E3.series modules and provides electrical engineers with an easy-to-use solution for designing and documenting electrical control systems including schematic diagrams, terminal plans and PLC’s. Its object oriented architecture provides an integrated and consistent design approach to help eliminate errors, improve quality and reduce design time. E3.series’ ECAD engine, designed by electrical engineers for electrical engineers, includes built in real-time design rule checks that prevent errors rather than finding them later and its intelligent component based parts library ensures only real parts are used and helps drive the design with automatic part selections. 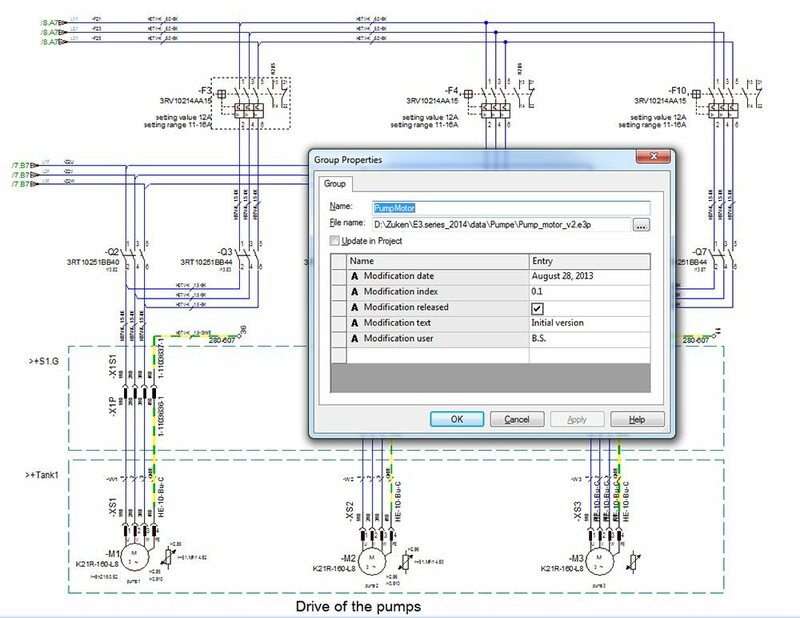 E3.schematic manages all design data including affiliated documents, such as bill of materials and connection lists or assembly instructions and datasheets. Its object oriented data structure ensures manufacturing instructions always match the design data. E3.series accepts data from other ECAD systems and is easy to integrate into your existing design environment, with PDM, ERP or 3D M-CAD systems. Many suppliers of electrical components offer additional software tools, from electronic component catalogs to terminal configuration programs which are able to build or verify terminal strip configurations. Within E3.series these terminal strips can be ordered and used as pre-assembled parts. PLC data held in the schematic is read into excel, where changes are applied and fed directly back into E3.series. PLC functions, addressees and location information can be managed centrally and then updated with a simple easy to use interface. In addition the tool checks for duplicate addresses and allows users to export data in the required PLC format. E3.series enables you to configure the wire numbers in the project based on circuit functionality and signal classification. The utility is also configurable for a number of additional industries, including machinery, rail and power.